Remember the days when renting a studio was all about saving cash until you’ve really made it? That era is most definitely over as those looking to live humbly in small quarters should expect to shell out an average of $2,691 for a studio apartment in Manhattan, according to Douglas Elliman’s latest rental market report. 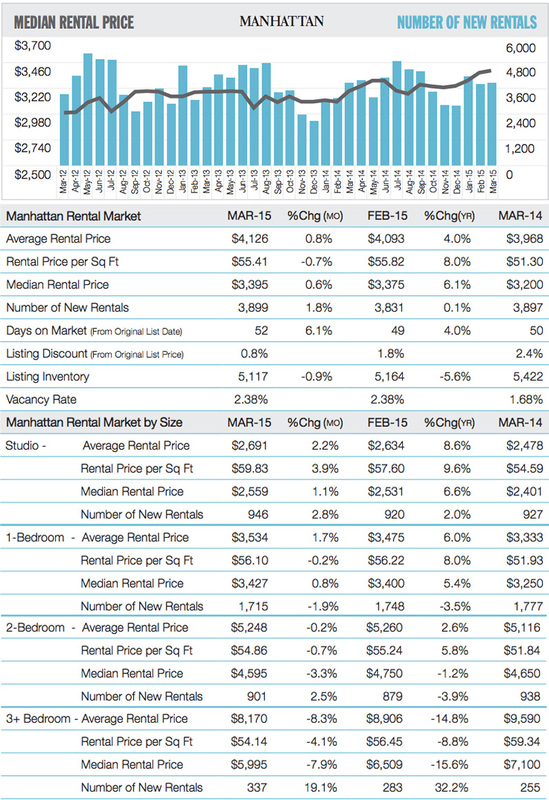 Manhattan rents overall continued their climb for the 13th month in a row, with median rents hitting $3,395, up 6.1 percent over the same period in 2014; the average increased 4 percent to $4,126. Right now, those looking to rent in the city should expect to pay, on average, $2,691 for a studio; $3,534 for a one-bedroom; $5,248 for a two-bedroom; and $8,170 for a unit with three or more bedrooms. 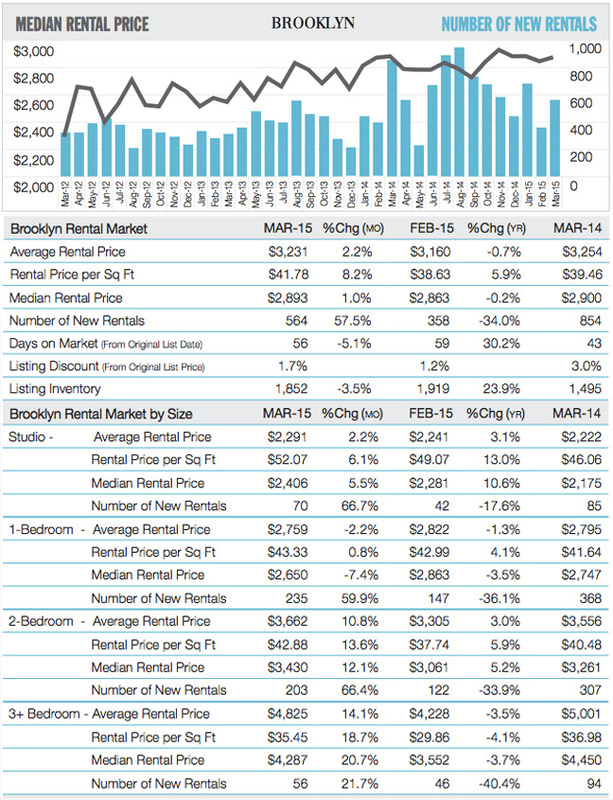 The report does note an ever-so-small decline of .2 percent in median Brooklyn rents (-.7 percent on average), with the gap between it an Manhattan widening over the last year—right now median Brooklyn rents are $502 less than Manhattan, versus $300 last year. The decrease however is primarily due to new stock coming to the market which has given way to a surplus of inventory, according to Elliman. In other words, don’t expect any big drops in the coming months—if anything $2,691 studios are also in Brooklyn’s near future. Right now renters eyeing Brooklyn should expect to pay an average $2,291 for a studio apartment; $2,759 for a one-bedroom; $3,362 for a two-bedroom; and $4,825 for a three-plus-bedroom unit. According to Jonathan Miller, the author of the report, the main drivers pushing up prices in smaller units can be attributed to strong job growth along with tight mortgage lending and high sales prices. 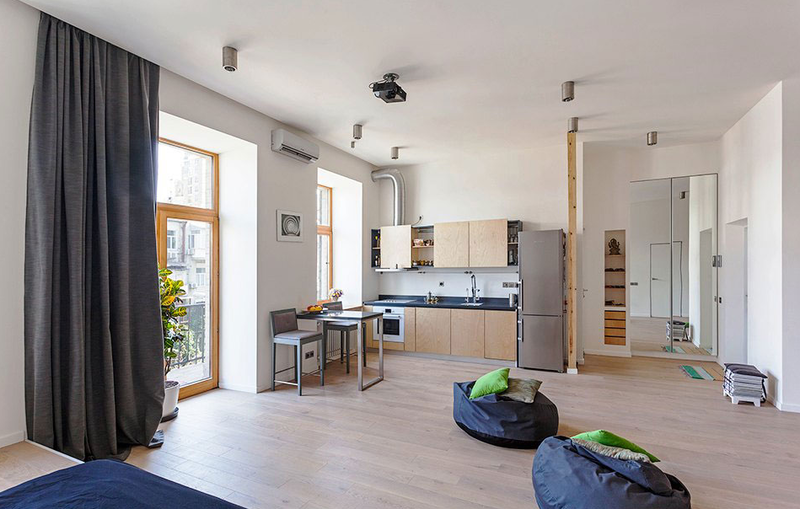 Affordability is deterring people from entering the buyer’s market, he says, so what you get is a “logjam” for smaller apartments that causes rents to rise. And even if people can afford to buy, they’re still choosing to rent instead to save up a bit more. It’s the same precept we mentioned at the start but the demographic is wildly different than your just-out-of-college 20-something making $30K.